1.Oppo is a very popular brand in the east, belonging to the company of the same name, which, in its turn, is a part of BBK Electronics holding. 2. The company was founded in 2004, it was engaged in the production of consumer equipment, however, in 2008 it was re-qualified as a mobile device company. 3.Oppo also has its own subdivision in Silicon Valley, USA - Oppo Digital Inc. It develops high-end audio and video equipment, including Blu Ray players, various sound amplifiers, headphones, etc. 4. Oppo spent about $ 300 million to promote its brand in 2012, the same year 10 million was allocated to invest in the development of technology and design. 5. The staff of Oppo has about 1,400 engineers, 40% of whom are engaged in software support. 6. The fifth largest manufacturer of smartphones in China, the eighth in terms of sales in the world (part of the market 3.8%). Presented in more than 20 countries of the world, such as: USA, England, Australia, Mexico, Morocco, Egypt, Vietnam, Indonesia, India, Thailand, UAE and others. 7. 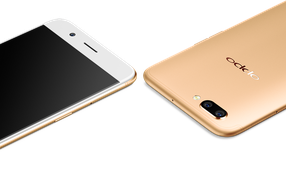 Topop smartphones from OPPO are based on high-performance chips from Qualcomm. Some of the models of 2013 are based on the processors of MediaTek company, made on 28-nm process technology. The first OPPO smartphone based on the Android operating system was released in 2011. 8. In January 2017, came in second place in the supply of mobile phones in China. 9. OPPO's strategic partners are Qualcomm (USA), and MediaTek (China). 10. OPPO's investments in technology and design amounted to $ 10 million only in 2012; $ 300 million in the same year was invested in branding.